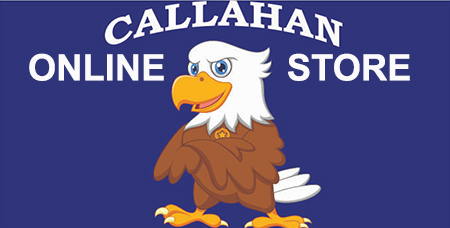 HAPPY HOLIDAYS FROM THE CALLAHAN EAGLE! 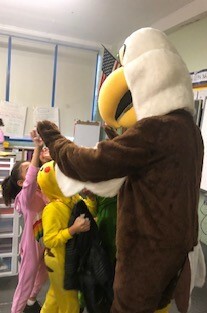 Students were treated to a holiday visit from the school eagle! 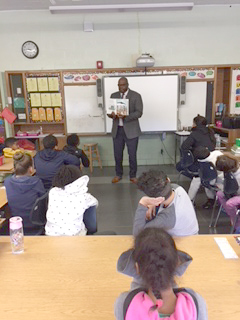 Superintendent of Schools, Dr. Tutwiler, read the book, "With Books and Bricks How Booker T. Washington built a School" by Suzanne Slade to a group of fourth grade students. Afterwards, students received a copy of the book, and a snack of sliced apples. Students enjoyed and loved every minute! Thank you Dr. Tutwiler!!! 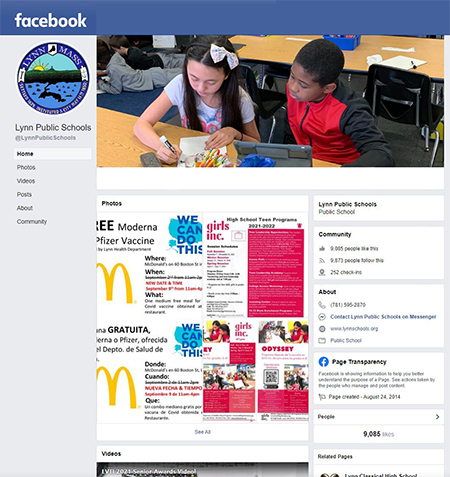 Our New PBIS Page Is Up and Running! The LPS has a district-wide initiative to have every student come to school every day. To that extent Callahan students have been challenged to come to school every day and ‘on time’ as often as possible. When a classroom has a 100% attendance and they are all ‘on time’ their class wins a ticket. At the end of the month, the winning class(es) will receive a special surprise. The January winners were rooms 108 and 211!!! Congratulations! They will enjoy a fun science experiment and a pizza party!!! Disclosure: “On time” means that students are lined up with their class in the morning and walk in to the school with their class. However, students will not be marked tardy until 8 AM. - Students will participate in an infrastructure trial on February 26-28. Saturday School will be held on February 2 and 9, March 2, 9, 16 and 23 from 8:30-10:30 AM. This program is geared towards 3rd, 4th, and 5th grade students who have registered for the program. ELT – Extended Learning Time - This program is offered after unit math tests to students who need support to reach mastery of math concepts and skills. This program is by invitation and takes place after school. PBIS - Positive Behavior Interventions and Supports - We celebrate positive behaviors by having monthly SOAR rallies. Please join us on 2/1/19 at 9 AM for our next Rally. - Please send in a written notice and include day/time, bus (if applicable) and/or who will be picking up your child. Remember: appropriate ID may be required. - Please: No dismissals after 1:30 PM as this causes a safety issue for our students and the dismissal process. Welcome To The Callahan Connection Newsletter! September Welcome Back!!! The "Callahan Connection" is a monthly newsletter designed to inform parents of activities, events and happenings at the school. Please check out this newsletter for important information! October Harvest Festival, Halloween and SOAR Rallys! 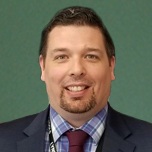 November Principal's Coffee, Monster Ball and Picture Day Re-Takes! Callahan is a school that prides itself on providing world-class instruction; creating strong teacher, student, parent, and community relationships; and instilling in children the ability to think, to learn, to achieve, and to care.